Revolv came to Cunningham Collective as a Techstars graduate with an experienced CEO. They needed a compelling story and brand strategy for consumers, partners, and retailers. Cunningham Collective discovered that the company was targeting customers in a different segment than the market that was interested in their product. We challenged their original hypothesis and tested it to reveal a new market segment. Positioning also revealed a need to align their product partnerships with their brand aspirations. Cunningham Collective developed precise positioning and brand that would earn the company momentum in a slow growing but promising space. We also helped the company define its product roadmap and align employees to the new positioning. 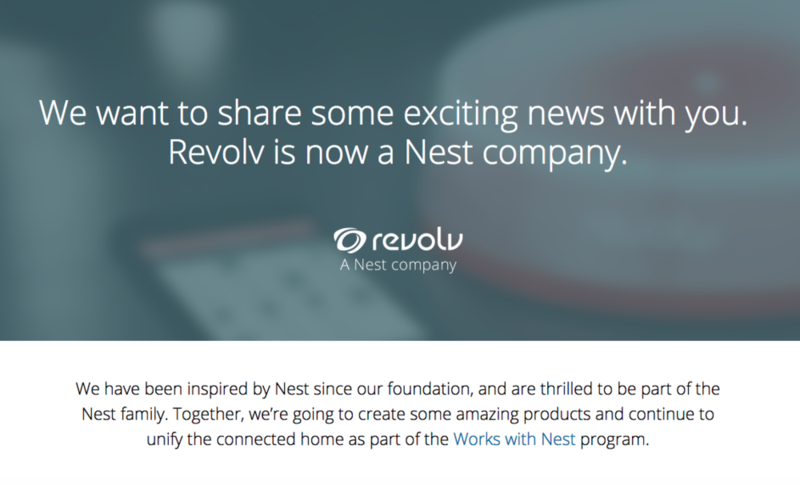 This contributed to a $4.5M Series A, and they were acquired by Nest the following year.